If you can drop a small amount of water on your stone or tiles and watch it absorb into the surface, it is porous. 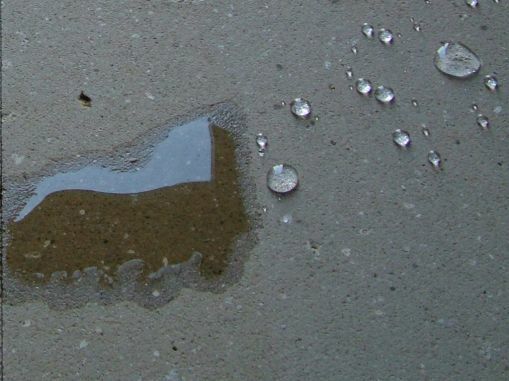 To identify if you have porous tiles or stone, drop a small amount of water on the surface. If it is porous, water marks and darkening are visible after the floor is wet, leaving areas patchy and discoloured until they dry out. Most natural stone is porous, some more than others. Porosity ranges from very high (sandstone) to very low (granite) or negligible (porcelain). The natural structure of stone has very open pores that allow the entry of moisture and stains deep into the stone. 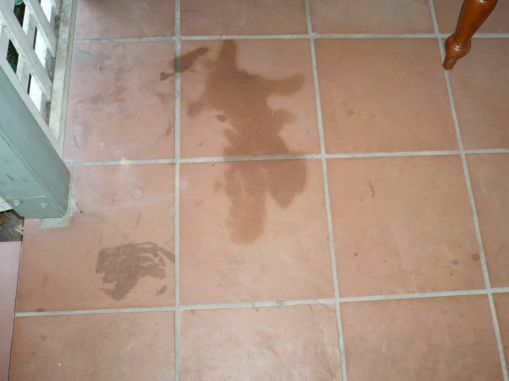 Most stains are liquid-based and can contaminate the tile. Many stains, depending on the content (type and size of molecules) can penetrate several millimetres into the stone making it very difficult to remove. The more porous the tiles, the deeper the staining can go. Is it possible to stop staining on porous tiles? Porous tiles and stone can be sealed to minimise the entry of water and stains. 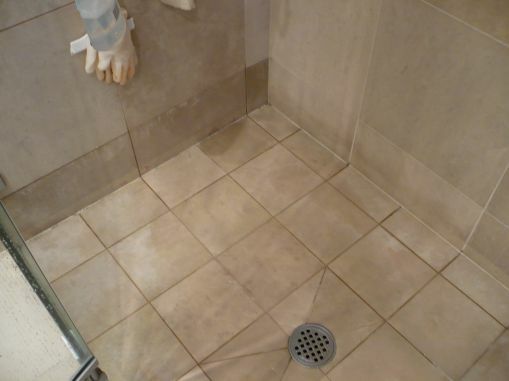 Sealing is the application of a non-visible chemical to slow down the penetration of stains into the surface, and also holds the stain at a higher level in the tile where it is easier to clean out. Sealing will not totally prevent stains – it will make the surface less porous, keeping the stain on the surface to give you time to clean it off before it penetrates. It’s important to act quickly to clean up any spills. Slique has a Stain-Guarding treatment which applies the most appropriate sealer to your surface. If you have porous tiles or stone that soaks up stains, you can book a free Slique Consultation – we’ll come and confirm your problem, and give you a quote for our Technicians to professionally restore the surface to as-new condition, and reduce its porosity to keep it looking good.